Opinion Archives - jxeeno™ blog. Could TPG end up partially subsidising NBN for Qantas Wi-Fi? Earlier this year, I made a submission to the Government’s consultation on the Telecommunications Reform Package. I’ve been meaning to write a summary for some time. I thought I’d whip one up together after it was announced that the Government planned to introduce the legislation next month despite not responding to the submissions. As part of the reform package, the government planned to introduce a $7.09 charge per line to most fixed line “superfast” broadband services (defined as 25 Mbps download speeds or greater). This is to help subsidise the cost of nbn’s fixed wireless and satellite networks — primarily servicing regional and remote communities around Australia. The NBN fixed line footprint is expected to be the primary contributor of the tax. However, other operators such as TPG with its fibre to the building network will also be hit. The problem is that the NBN satellite network is no longer solely about the delivery of broadband services to regional areas. It now has other commercial interests — including the Satellite Mobility product which allows commercial entities like Qantas to tap into the satellite network for the delivery of in-flight Wi-Fi. This could mean that a provider like TPG could be paying taxes which help subsidise the provisioning of Wi-Fi services on a Qantas aircraft. The proposed bill had no restrictions that the funding must only be used to provision broadband services to regional areas — as I explained in 2.1.5 and 2.1.6 of my submission. So, NBN Co is placed in a conflicting conundrum. It can spend its subsidy funds on improving the quality of satellite services to regional communities like relaxing the Fair Use Policy with no additional revenue. Alternatively, it could spend it on developing new revenue streams through commercial products like the Satellite Mobility product — competing with the likes of Optus who also have satellites in the sky. The Bill should make clear that the funding made available through the Regional Broadband Scheme is not available for services where the primary purpose is not to deliver broadband to regional communities. The strict Fair Use Policy (FUP) imposed by NBN Co on its Satellite network means the quality is still not directly comparable to fixed-line super-fast broadband services.As a condition of the Regional Broadband Scheme funding, the funding recipient should prioritise upgrades to the capacity and service reliability of rural and regional customers over the development of supplementary products like the Satellite Mobility product. Ensure similar protection is afforded to services delivered by means of the NBN Fixed Wireless network. After spending millions on consultants to criticise past decisions in the 2013 NBN Strategic Review, the company responsible for building the National Broadband Network, NBN Co, has repeated supposed past mistakes in a metric definition. 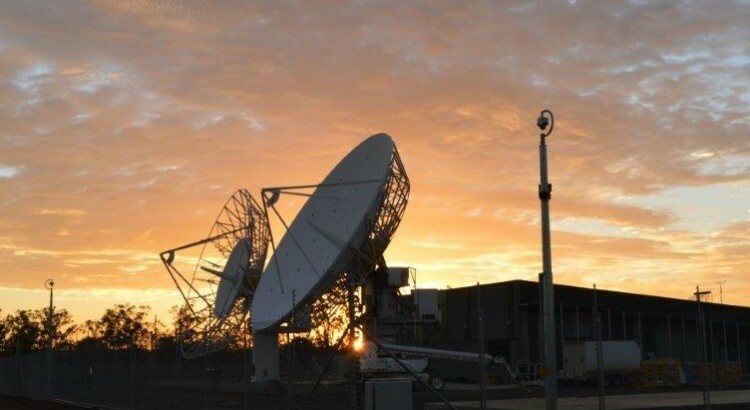 NBN Co has previously reported Satellite premises covered as 250,000, however the Independent Assessment considers that it is more appropriate to report 48,000 Premises Passed given the contractually limited capacity of the ISS. Consequently, the review revised the company’s performance figure down in the review — stating the former management had missed the target of 250k premises by 80% (page 40) by reclassifying the meaning of the metric. Yet, three years later — here we are again with the company using the total satellite footprint as their headline “Premises Passed and Ready for Service” figure. NBN Co’s weekly progress report, which provides a high-level summary of premises passed across Australia, says 404,064 premises have been “covered” by the Long Term Satellite service. Yet, in the 2016 corporate plan, the company states that satellites only has the capacity to service 250,000 premises at a time. Following the footsteps of the Strategic Review, NBN Co will technically miss its corporate plan satellite target by around 50%. NBN Co reports 404,064 premises covered by satellite as at 16th June 2016, yet the satellites can only handle 250,000 premises. What can I say? Metrics are arbitrarily defined by those who want to portray a specific outcome. Criticism of metric definition is moot, and really occurs only when trying to pursue a line of argument intended by those writing it. The Strategic Review is an excellent example of this. Perhaps unnoticed by many at the time, the numbers in the review favoured the Multi-Technology Mix even though there was no increase in capacity for the satellite. The review considered only 206,000 premises passed by FY16 in the “revised outlook” — however, it magically jumped up to 340,000 premises passed in the adopted “multi-technology” case without any physical changes to the satellites. It’s not that there’s no demand, it’s that NBN’s pricing model makes it impossible for providers to put any gigabit services to market. There’s a common misconception that there is “no demand” for gigabit Internet services in Australia. After all, if there’s no actual customer taking up a gigabit service on the NBN — how can there possibly be any demand? Apparently, despite providers around the world actively and successfully selling gigabit connections to speed-hungry residential customers, Australians are so “agile” and “innovative” that they see no need for higher speed connections that our counterparts in the rest of the developed world seek for. At least that’s what the latest spiel from The Australian may lead you to think. Of course, the paper is absolutely correct in saying that the only NBN customers on gigabit connections are “trial” connections by service providers. But what the article neglects on is the context: why Australians are always seemingly so special compared with the rest of the world. A inhibitive pricing model. Where did the pricing go wrong? I’ve written extensively about the issues with the NBN Connectivity Virtual Circuit (CVC) pricing model. Effectively, providers have to buy virtual bandwidth capacity (CVC) that’s shared across all^ the users from a single retail service provider (RSP). If a provider buys only 100Mbps of CVC: at any point in time, the sum of all traffic across all users from that RSP will be capped at 100Mbps. It doesn’t matter if the provider has 50 x 100/40Mbps connection, the maximum the provider can transfer across all users is 100Mbps. The problem is that it is set at an artificially high price to ensure revenue to the NBN company. This means, to even consider offering gigabit plans, a provider must have enough customers at each point of interconnect to need at least 1Gbps of CVC… which comes in at $17,500 ($17.50 per Mbps before GST). NBN will soon be introducing dimension-based discounts which will give more generous CVC discounts to providers who buy more CVC on a per-user basis, but it still puts 1Gbps residential plans in the realm of impossibility. Let me be clear —it’s not that there’s no demand for gigabit plans in the residential market. It is that it is too cost prohibitive and far too risky for providers to offer gigabit services to consumers due to the NBN CVC pricing model. Under the current pricing model, which to be fair to the current Government, was brought in when the NBN was first introduced by Labor… the NBN rollout must reach critical mass at each point of interconnect and have a significantly reduced cost per Mbps for CVC in order for NBN plans with speeds higher than 100Mbps to start showing up. Providers overseas, for example AT&T, are offering gigabit services at USD$70 which converts to around AUD$100. With the current CVC model at an arguably high 1:100 contention ration (i.e. 10Mbps of CVC allocated for a 1Gbps connection), NBN costs alone would be over $300. That doesn’t even include interconnection, peering or backhaul costs. I’ve argued in the past for a different style of dimension-based CVC pricing, where a proportional CVC contribution is paid per end user to make up for the revenue. In turn, NBN will manage the contention. This would allow providers to offer 1Gbps plans to consumers before the rollout reaches critical mass, and increase the short term revenue for the project if there are more users who take up higher speeds. But such a radical change can’t happen without substantial industry consultation. Regardless, it is a self-fulling prophecy to say that “there is no demand for gigabit services” when in fact the NBN pricing model is designed to prohibit gigabit services for residential connections. ^ effectively all customers serviced from the same NBN point of interconnect. There are limitations to how many users can be placed on a single CVC and which technologies can share a common CVC, but for all intents and purposes — this is irrelevant for this discussion. Even if the pricing issue is tacked… you might ask — why would there be demand for gigabit services? QHD content on Netflix only utilises 25Mbps of bandwidth; what applications possibly require more than that? While I can’t possibly accurately predict future applications, there is one obvious demand for high speed: productivity. As “cloud” storage and computing becomes more and more widely used, there is increased need for burstable Internet connections. As a budding geospatial geek, say I need to transfer a large dataset from my computer to a cloud processing service (conceptually, backing up a large number of photos or videos to cloud storage would be an identical situation). It would take me no less than 12 hours to transfer a 500GB raster dataset over a 100Mbps connection to my remote server. With a 1Gbps connection, this would reduce to just over an hour. In this example — I don’t necessarily need the 1Gbps at all time. Perhaps on average, I need no more than a 25Mbps connection. But the productivity gains in having a burstable connection that can reach gigabit speeds when I need it to can be enormous. Rather than sitting and twiddling my thumbs for half a day to wait for my data to be uploaded, and another 12 hours to download it again, I can save some 20-22 hours all up simply by having the connection “on standby” (so to speak). Infrastructure networks are rarely designed on an “average consumption” basis. If roads and highways, or water and power infrastructure were designed on what happens on “average”, traffic congestion, blackouts and water shortage would be a common problem during peak times. Good power infrastructure, for example, is designed to cope with sudden demands for electricity. There is phenomena known as “TV Pickup” in the United Kingdom where there is a sudden increase in electricity demand during TV ad breaks — thanks to a large number of people simultaneously turning on the kettle across the UK. So, this isn’t simple demand and supply here. Demand is not only driven by users… it is also a function of the NBN’s price structure. The fact of the matter is, there is far more to the lack of gigabit services than meets the eye initially. If we are indeed serious about the innovation nation, I call on both side of politics to put down their swords and look seriously at pricing reform for the CVC. I seriously hope for some bipartisanship… if not at the technology front, then certainly at the pricing policy front. Analysis: Is privatising the Multi-Technology Mix the best way forward? With almost no competition to incentivise an upgrade to its network, can NBN’s monopoly Multi-Technology Mix keep up with user demands or will it become Telstra 2.0? Infrastructure Australia released it’s “Australian Infrastructure Plan” report today. It’s contents are not exclusively about the National Broadband Network, however, it made a number of recommendations to the Government suggesting that the NBN should be privatised in the medium term. Since the conception of the National Broadband Network, there had always been a plan and provision to sell company once the rollout is complete. With the original “full fibre” plan envisaged by the then-Labor Government, selling or not selling the fibre network at completion wouldn’t materially affect competition. Fibre at the premises level is a natural infrastructure monopoly. Much like how water supply companies do not build competing sets of pipes for competition, fibre is effectively a pipe with limitless upgrade opportunities by simply “swapping out the equipment at each end”. 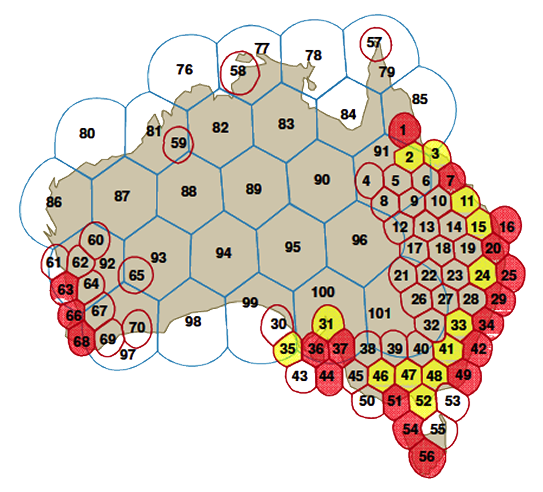 It is vastly inefficient to duplicate networks for the sake of competition, and the Optus and Telstra HFC “war” in the 90s was an excellent example of how broadband infrastructure competition can fail. There is a case for small amounts of network duplication in inner metropolitan areas. However, it becomes hard to compete (at least within the fixed-line space) with a network that’s already built to the scale that NBN would have. Selling, or even long term (99 year) leases of the fibre network based on geographical areas would have made sense. Like water companies, telco infrastructure entities wouldn’t spend too much time duplicating each other’s network. Upgrading networks to user demands would incur minimal capital expenditure, as it’s a matter of swapping equipment at two ends. Competition will continue to exist, but only in the retail/service delivery component of the network by Internet Service Providers. But things changed. If you haven’t noticed, the NBN is no longer rolling out fibre to the majority of premises. The Coalition Government’s policy of a Multi-Technology Mix fixed-line network creates new challenges policy makers in the future will need to deliberate carefully before pressing sell in parliament. On the upside, a Multi-Technology Mix is an effective way to drive infrastructure competition. However, it doesn’t work when it’s being built by a single entity — especially not a Government-owned enterprise. As a monopoly, investing large sums of money on upgrading technologies like VDSL2 over copper where upgrade paths is not as simple as “swapping out equipment” presents an ongoing burden for the NBN company. As user bandwidth demand grows, many telecommunications companies would upgrade and extend their networks to meet user demand. Or else, they would risk a competitor coming in to take over their market share. That’s what happens in areas with healthy infrastructure competition — such as Hong Kong. But like Telstra before it, NBN wouldn’t have a business case to upgrade its networks — even if user demands skyrocket. The company would stand to lose money (at least in the short-term) by investing to upgrade its network, while it would keep a steady revenue if it just maintained the network as it is and not upgrading at all! Civil costs to push fibre out further into the field to meet user demand isn’t cheap, especially when it’s done in successive truck rolls (which is what the current policy is). We can say that the current NBN policy focuses on short-term policy objectives — lowering the short-term capital expenditure costs, while risking medium to long-term operation costs — in other words, leaving it for policymakers of the future to deal with. Privatising the Multi-Technology Mix by its technologies would make sense — provided the necessary regulatory instruments were put in place. Consider privatisation by splitting the NBN into a FTTx, HFC and Wireless/Terrestrial entities. These three entities could lend themselves to infrastructure competition in areas where there is sufficient network overlap. In metro areas for example, failure to upgrade the copper-based VDSL2 solution used by the FTTx entity would see the threat of an adjacent HFC footprint grow to meet user demand (and vice versa). In regional and rural areas, the viability of infrastructure competition is not immediately obvious. Improvements in fixed wireless technologies could threaten the market share of the FTTx entity, but the fixed wireless network would need to grow substantially to be of real competition. In addition, wireless and terrestrial (satellite) solutions tend to be more expensive. So is it possible to create healthy competition, or would those areas have to rely on Government subsidies to promote upgrades? Even if competitors are identified, each of these entity would need to have equal opportunity to grow its footprint into their competitor’s existing footprint. Having equal access to things like duct and pipe, Tier 1 and Tier 2 facilities, power and potentially many more aspects is crucial before any privatisation goes ahead. Looking at the current telco market in Australia, obvious candidates with enough capital for purchasing parts of a privatised NBN would be Telstra, Optus, the TPG Group and the M2 Group. Companies like Nextgen or Vodafone could still take a share. But all these companies I’ve listed, bar Nextgen, already hold a retail front: Telstra, Optus, TPG and Vodafone are obvious by name. M2 owns Dodo and iPrimus. Currently, the unique nature of NBN is that it is entirely wholesale only with no vertical integration, driving substantial retail competition in the service provider front. In my opinion, this needs to stay as is. Infrastructure companies should stay structurally separated from its retail front to ensure innovation within the “service” sector and ensures equal pricing regardless of who owns the network. In a privatised world without a ubiquitous network of natural monopoly (like fibre), the only way networks will meet user demand is by infrastructure competition. Infrastructure competition requires network duplication (or at least the threat of) to stimulate investment to upgrade. So the question is: do we want this duplication? Isn’t it blindingly inefficient to have networks that do the same thing being built two or three times over just to keep with user demand? I think we’ve put ourselves in another telecommunications policy nightmare in Australia. Time and time again, successive Governments — in their short sightedness — have failed to realise the consequences of their policy decisions. The NBN was meant to solve the issue of a lack of infrastructure investment that resulted from the privatisation of Telstra. It still could, but potentially at the cost of inefficient network duplication. Yes, I’d still argue that a Fibre to the Premises model would have been the ideal model. It would have made privatisation easier, it would have been far more elegant. But what’s done is done. Some would argue it’s a good thing. Infrastructure competition could work well for companies who have substantial capital while also owning large amounts of existing network assets. Currently, TPG is the disrupter in the market. The rollout of inner-city Fibre to the Basement network is a good example of what healthy infrastructure competition could look like. So yes, in conclusion, if done correctly — splitting and selling the NBN is probably the best way forward for Australia. But as Malcolm would say, “it’s not the way we would have done it”. NBN lets down Tasmania, again. Tasmanian communities of Queenstown, Rosebery, Zeehan and Strahan will be forced onto an already “severely oversubscribed” satellite beam. 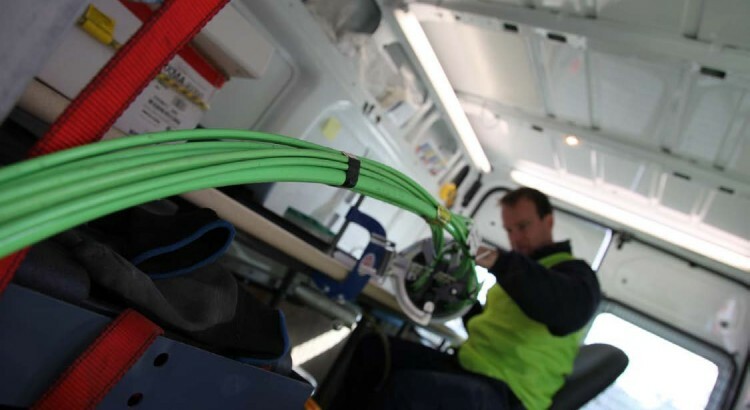 The company building the National Broadband Network (nbn) has revealed that they will no longer provide a fixed-line or fixed wireless solution to major settlements located along the west coast of Tasmania. Up till July this year, nbn has released various rollout plans showing the towns of Queenstown, Rosebery, Zeehan and Strahan as candidates for the Multi-Technology Mix (MTM) and Fixed Wireless rollouts which would have seen Fibre to the Node be rolled out to the majority of premises. The area was also expected to receive a Fibre to the Premises rollout under the previous all-fibre NBN policy. Because of the cost to provide fibre services in the backhaul sense to serve within the FTTN. The area only has one fibre path going out to it, and you need to have two for redundant based services. The cost—and we have looked at it a number of different times—to provide fibre out there in a different path makes it exorbitantly expensive. The move to satellite has also been independently confirmed using NBN’s internal technology modelling. However, the towns affected are all currently being serviced by Telstra ADSL/ADSL2+ services, with Queenstown having access to the Telstra 4G network as well. The beams servicing this area, number 54 and 56, has also been identified by NBN’s Fixed Wireless/Satellite Strategic Review as being “severely oversubscribed” prior to the redesignation of the fixed-line footprint in July. Adding another 3,000 premises would not improve the satellite congestion anticipated in those areas. 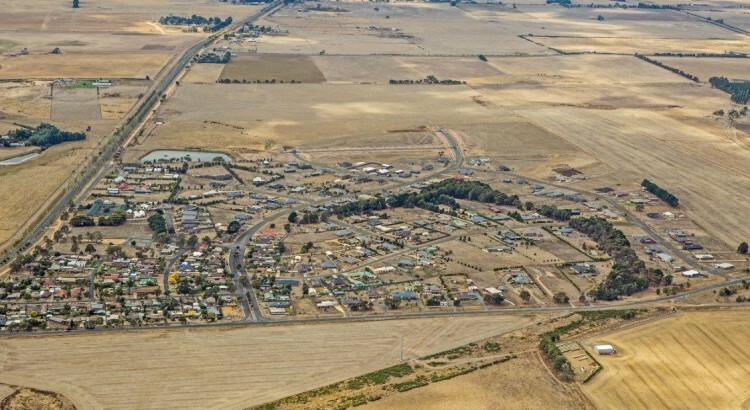 However, given the availability of existing ADSL/ADSL2+ services in those towns, it is unlikely that residents will switch to the National Broadband Network due to increased latency. As revealed last month, nbn will implement a fair use policy for the NBN satellite. While the final policy is yet to be confirmed, the first version released saw a standard quota of 75GB per month… a far cry from the current data quotas on comparable ADSL plans. A report written by Engineers Australia in 2010 stated that the affected towns (amongst others) were serviced by Telstra using microwave backhaul links rather than fibre at the time it was written. However, the testimony given by nbn executives at Senate Estimates suggests that a single non-redundant fibre path has been built since the report was written. 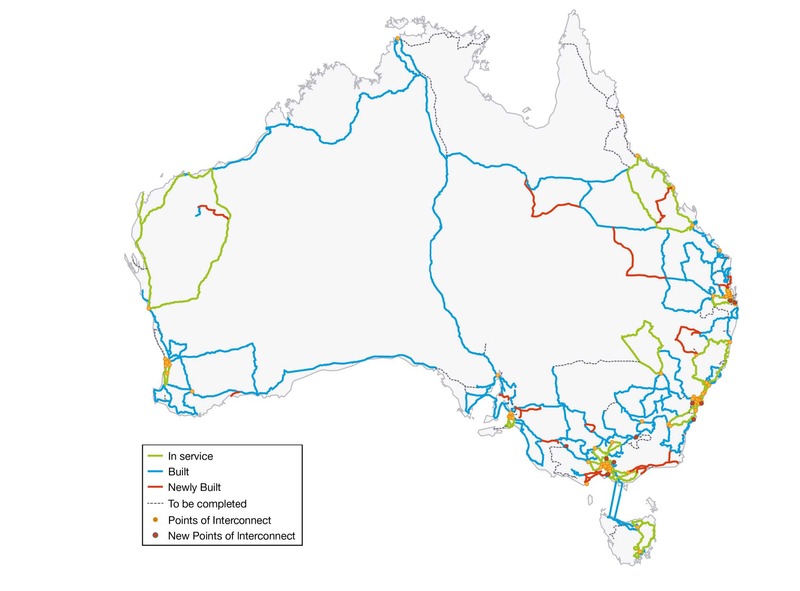 Originally, it appears that nbn had planned to build its transit network out to Queenstown (see diagram below, published in March 2014) using a single non-redundant spur fibre path from Sheffield or Burnie. $20 million to build a redundant path to service ~3,000 potential customers does seem unreasonably high. I don’t think it’s wise to go ahead to do spend that money. However, it does beg the question why NBN cannot use their own microwave links as the redundancy path to service the west coast communities. Given there is supposedly already a single fibre path that nbn can utilise, using microwave links as a redundancy path would surely be cheaper than fibre — right? nbn has effectively neglected these communities. I doubt anyone who lives in an area with existing, well-established communications infrastructure like ADSL/ADSL2+ connections and Telstra 4G mobile reception would opt for a NBN Satellite connection given their smaller data allowances (compared with fixed-line DSL) and higher latency. This is most unfortunate, given National Broadband Network is supposed to fix and improve connectivity around Australia — not offer a degraded version of it. I’ve seen isolated cases like this in the past — people able to access existing DSL broadband but placed on the satellite… but not to this scale. Not entire communities like this. Yes, nbn‘s current Government policy is to build the network out “at the least possible cost”… but that doesn’t mean putting thousands of premises into an already severely congested satellite beam! Our former communications minister, now PM’s buzzword of being “agile” seems to be lost at nbn. Surely as a special case, there can be alternative arrangements made for the redundant path? (opinion) The national broadband network is all about bringing ubiquitous, high-speed broadband to all of Australia — regardless of where you live. However, with the shift to the multi-technology mix and in the introduction of the Fibre to the Node technology into the network — nbn is doing its best to downplay the importance or the need for speeds beyond 25 Mbps download in order to justify its technology-of-choice. Yet, as the company reveals itself, it will rely heavily on these downplayed high-speed users 5 years time in order to meet the required revenue targets to make their Multi-Technology Mix work. According to their own figures provided at Senate Estimates this year, 30% of all fixed-line customers are expected to take up the 100/40 Mbps tier followed closely by 29% taking up the lowest tier — 12/1 Mbps. But if you look at revenue figures, in user access (AVC + UNI) revenue alone, the 100/40 Mbps users account for $1.47 billion dollars per year. At an average 1:80 contention ratio, it could amount to a total of $2.32 billion in revenue if current CVC costs of $17.50 per Mbps is retained. The expected revenue in the 100/40 Mbps tier is expected to be double of the next highest tier in revenue terms — the 25/5 Mbps. While magnitude of pricing may be altered due to pricing changes and lower overall take-up, assuming take up profiles are met — the importance of promoting higher speed plans cannot be understated. If nbn knows what’s good for them, they shouldn’t be focusing energy on discrediting the need for speeds beyond 25/5 Mbps. Those are simply short-term political defences which could eventually harm the revenue capabilities of the company in the long term. It is more important than ever to promote the higher speed tiers to customers who can access the speeds, given the MTM rollout by nature will prevent some customers who want the higher speeds from getting it (I’m looking at you, FTTN). Unlike the 2012 Corporate Plan which predicted ~10% of customers will take up a 250/100 Mbps service by 2020 — nbn is now predicting that by fiscal year 2021, the take up of services above 100/40 Mbps will only be at 2% for both FTTP and HFC (0% for FTTN) — or in real premises figure, around 128,000 homes or businesses. This amounts to roughly $190 million dollars in annual revenue. Yes, the company is using current take-up information to model demand in 2020. It seems nbn might be having some trouble understanding the broadband demand and the market in Australia. There is a few reasons behind this, but firstly, nbn‘s own CVC pricing is the key inhibitor in enabling these services. Saying “market is speaking in Australia” but not recognising they are they key inhibitors in the market is a bit of a self-fulfilling prophecy — right? You might as well jack up all nbn access costs to a million dollars per user and say: “The market is speaking! By 2020, no Australians will want any broadband from nbn!“. It will most undoubtedly be a true statement if the company decided to go with it. We also need to understand the extreme costs of buying backhaul to the nbn Points of Interconnect ruled by incumbent monopolies. Plus, there’s the high cost of IP transit in Australia (that’s the cost of connecting to the actual Internet) compared with places like the US or UK because of the large bodies of water that separate us from the rest of the world. However, market competition means that the latter of the two (backhaul and IP transit) will likely fall as demand increases. But CVC costs? That’s entirely controlled by the nbn as it’s not a competitive market. So whether or not Australia will want gigabit speeds is almost entirely dependent on nbn, and judging by the tone used by this management, it seems they neither want to promote the speed nor get the revenue — which is a pretty stupid strategy in my opinion. Stop dissing users who demand high speeds. As a taxpayer who’s tax dollars are being used to fund the project, I want it to succeed in the long term — not just politically in the short-term. According to your own numbers, the take-up of higher speed services is paramount in ensuring the return of investment to the Government and in turn, the taxpayer. Saying there is no demand for speeds beyond 100/40 Mbps is another one of those dangerous, broad statements that reflect the short-sightedness of the company. When telcos worldwide are spruiking to their customers about the wonders of gigabit connections, we are special in Australia. We are somehow unworthy, and “unneedy” of these higher speeds. Let’s play common sense, and promote things like any sane, commercial company would. After all, we all just want this investment to succeed. Just how fair is nbn’s proposed Satellite Fair Use Policy? Simple maths shows 2x more per-user capacity compared with interim satellite, but only 0.7x more data allowance is proposed. After revealing the proposed restrictions and fair use policies to help manage traffic and congestion on nbn Satellite service, some residents have taken to Whirlpool Broadband Forums to express their concerns. The primary concern being that a 75 GB 4-week rolling average limit doesn’t translate to 75 GB of “anytime data”. According to the draft Fair Use Policy, nbn will — in addition to limiting the maximum usage per service to 75 GB on the standard CVC Class 0 — also limits the ISP-wide 4 week rolling average download and upload during peak periods (from 7am to 1am the following day, local time). Currently, the base CVC Class 0 is proposed to be 15 GB download and 3 GB upload. This means, if the Fair Use Policy isn’t altered before the final satellite product release, a service provider would have to either carefully balance a number of lower capacity plans with higher capacity plans to maintain an average of 15GB, or offer one plan that provides close to 15GB with around 40GB of off-peak data up for grabs for all users. Realistically, however, we can expect RSPs to oversell slightly given the 15 GB limit is averaged across the ISP using the assumption that a portion of their users will not reach the 15 GB limit. But just how fair is this 15 GB / 3 GB averaged limit being proposed by nbn? Let’s see how it compares with the current nbn Interim Satellite Service and nbn Fixed Wireless network. Firstly, let’s check how much satellite capacity is expected to be assigned to an end user. Since nbn imposes minimum customers-to-CVC (AVC-to-CVC) ratio (so RSPs can’t hog virtual capacity), we can calculate these numbers by dividing the CVC capacity by the maximum and minimum customers. As seen above, this averages out to be around 125 kbps per user on CVC Class 0, 145 kbps per user on CVC Class 1 and 190 kbps per user on CVC Class 1. So, the standard CVC Class 0 product has roughly 2 times (or is 313% of) per-user allocated capacity on the Interim Satellite Service. 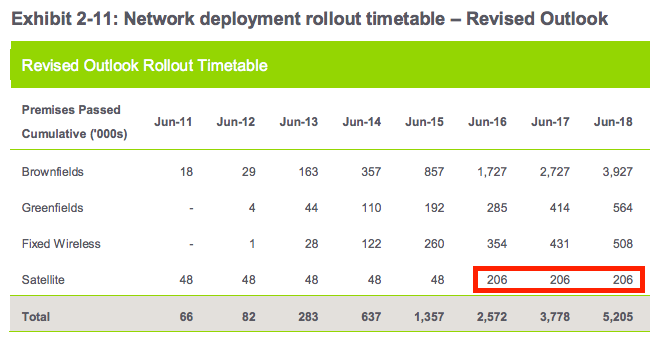 It is also roughly a quarter of the capacity on the NBN Fixed Wireless network. How do the Fair Use Policies for the ISS and Fixed Wireless compare numerically to the proposed Long Term Satellite? Interim Satellite Service: nbn‘s fair use policy for the Interim Satellite Service is structured similarly to the proposed Long Term Satellite policy. Currently, the cap at a per-AVC (or customer) basis is 50GB. 313% of that would bring it to ~150GB, rather than the 75GB proposed. But as we have said, this limit means little given the bulk of downloads generally occur during peak time. While nbn doesn’t have a peak time average limit on the ISS, the company has mandated an ISP-wide averaged 9.7 GB download limit on a 4-week rolling average basis. For this model, let’s assume that ~90% of traffic occurs during peak time — coming to an estimated ISP-wide averaged 8.7 GB download limit on a 4-week rolling average basis. 313% of that would bring us to ~27.6 GB, compared to the 15 GB proposed. In summary, while per-user assigned capacity has increased by around 2x compared with the ISS — data limits in the fair use policy have only increased by a mere 0.72x. Fixed Wireless: nbn‘s fair use policy for the Fixed Wireless network is straightforward. RSPs must maintain, on average across their user base, less than 200GB download (let’s consider download only). Like the ISS, there are no limits on peak/off-peak usage… but let’s assume that 90% of traffic is carried during peak time (meaning ~180 GB download). If we take 25% of the Fixed Wireless fair use policy, we get 45 GB per month of peak time data per month. Having calculated that, however, it’s important to remember that Fixed Wireless is a fundamentally different product. Given it has far more capacity compared with any satellite product, there is more room to wriggle when it comes to the fair use policy limits. However, for completeness sake, while the per-user capacity on the LTS is around 25% of Fixed Wireless — the data limits in the fair use policy are a mere 8.3%. nbn appears to be very conservative when it comes to allocating data allowances on the Fair Use Policy. Comparing to the Interim Satellite Service, per-user capacity has increased by between 2x to ~3x (depending on which CVC Class you choose). However, ISP-wide peak-time data allowance only increases by between ~0.72x to ~2.5x (again, depending on CVC Class being compared). As the writer doing the analysis, I believe there is scope for nbn to increase limits currently proposed in the draft Fair Use Policy. Ideally, if service providers can buy two times more CVC capacity compared with what they can do on the ISS — they should be able to offer customers around the same amount more data… but I’m not going to sit here and pretend that using capacity can be calculated using simple maths. Real networks are far more complex beasts, and simple calculations do not necessarily reflect how real networks behave. But I believe a simple scale projection, as I’ve done above, would aid the public gaining some perspective on how little data caps have increased in comparison to the new satellite’s extra capacity. Wise words, Paul. We wish you all the best in your pursuit. Make friends with NBN employees! They may be able to shed light into your pesky rollout issues. The company responsible for building the National Broadband Network, nbn, has published a page on its public website stating the terms and conditions of a mobile app known as “Ken App”. According to the 422 word page, the app will be accessible exclusively to some full-time employees on mobile devices issued by the company. The purpose of the mobile app will be used by these select employees to “access information about the nbn network” as well as “raise requests with the nbn Contact Centre on behalf of friends and relatives”. The app can also apparently be used to “request for an email to be sent to a third party with information on the nbn™ network”. It seems like an odd app for nbn to develop. Why create an app that is only accessible for your employees to look up and share NBN rollout information and lodge support requests? Is the nbn website really that terrible that friends and family of employees can’t lodge their support requests or find the information they need? Why does it seem the friends and relatives of these employees will get preferential treatment and more information over other members of the public? Friends of the NBN: they have access to the special app for more information! Cell Access Service will allow mobile carriers like Vodafone to use the NBN’s network to connect mobile towers. But has this come too late? The Cell Site Access Service will provide connectivity between cell sites and nbn Points of Interconnect. The Cell Site Access Service will provide connectivity between a network operator’s mobile cell-sites and nbn’s Points-of-Interconnect and also nbn’s fixed wireless ‘hub’ sites where they are connected to the nbn Points-of-Interconnect by fibre. The service will initially be offered within the FTTP and FW footprint, with the potential for it to be expanded to include other parts of the Multi Technology Mix network in the future. But is it too little, too late? Earlier this week however, Vodafone and TPG announced that as part of a $1 billion dollar deal — TPG will provide fibre for the mobile carrier to connect its mobile network towers for the next 15 years. It’s unclear if this is an exclusive deal where Vodafone must only use TPG as their only backhaul provider, but it may significantly reduce nbn‘s prospect in profiting from such a service. Last month, I wrote about how NBN could transform the mobile transit market. While it may still ring true — with Vodafone now seemingly out of the game for NBN-based mobile transit — one must wonder how much nbn could realistically expect from its new product offering. 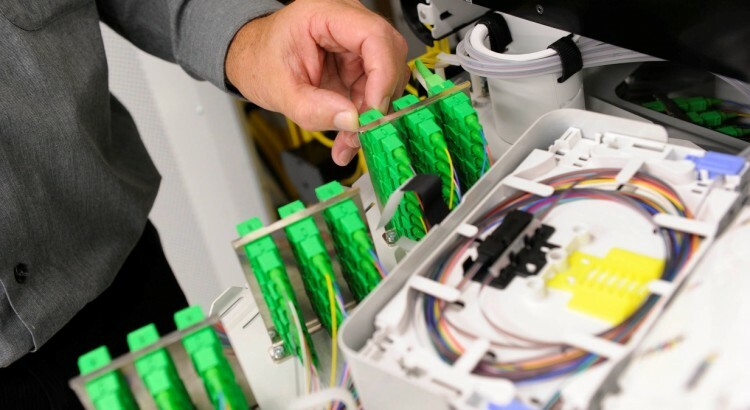 Even before they’ve switched on a single Fibre to the Node customer — nbn, the company responsible for building the National Broadband Network, has been busy spruiking their plans to trial and eventually upgrade Fibre to the Node to G.Fast technology to the media. 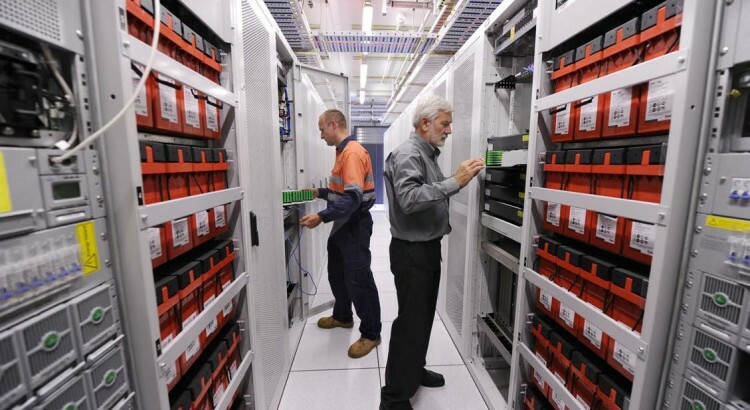 However, acccording to estimates made in the company’s Strategic Review, building the Fibre to the Node network now and upgrading to Fibre to the Distribution Point (FTTdp) using G.Fast technology would have saved a mere $2 billion dollars compared with a “radically redesigned” Fibre to the Premises rollout. Since then, blowouts in the Fibre to the Node rollout would have surpassed the said savings of $2 billion dollars. The company had straight-out refused to publish a raw Fibre to the Node cost-per-premises figure in their Strategic Review. However, on page 101 of the Strategic Review, the company estimated that it will cost around $2 billion dollars to roll out 3.6 million premises using Fibre to the Node architecture. This equates to approximately $555 — $833 per premises (assuming range of $2 — $3 billion dollars divided by 3.6 million premises). According to the latest 2016 corporate plan, this cost has blown out to $1,600 per premises or a net increase of $767 — $1,045 per premises (excluding infrastructure lease which was not attributed to CPP in original calculations). 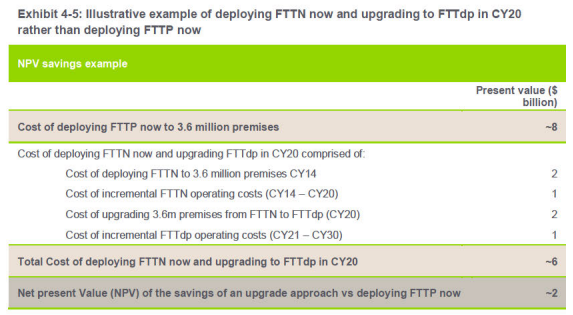 nbn has also increased the FTTN/B/dp footprint from 3.6 million premises to 4.5 million. From Fibre to the Node cost per premises alone, this has attributed to a net blowout of between $3.5 to $4.7 billion dollars from Strategic Review cost estimates — potentially overriding the savings of $2 billion envisaged in the VDSL–G.Fast upgrade path. Fibre to the Premises: better than expected? Comparing NBN’s estimates for Fibre to the Premises (Revised Outlook) in the Strategic Review with current Fibre to the Premises, figures shows they had over-estimated the capital expenditure of the FTTP rollout by about 11%: ~$4,100 in the Strategic Review ($1,997 for LNDN plus $2,100 for the activation, equating to $4,097 — see pages 62 and 64 of SR) vs $3,700 in the 2016 Corporate Plan. 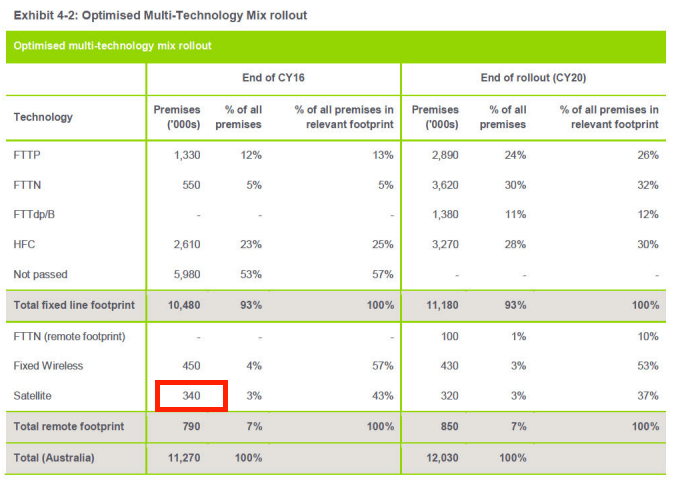 This suggests better-than-expected costs in the Fibre to the Premises rollout costs. But unfortunately, the company has already invested billions into developing the so-called Multi-Technology Mix and has a task to rollout Fibre to the Node thanks much to Government policy. These are costs that taxpayers will never be able to recover, meaning we may have missed another opportunity to rollout FTTP in the majority of the now-FTTN footprint. As the cost of the copper-based network increases, the comparative investment in those technologies become less attractive. Speed and capacity upgrades require installing more active equipment in the field and also extending fibre closer to the home. Thus, incremental upgrades and ongoing operating expenses on a copper-based broadband network is far greater than those on a fibre-based network where only tail equipment has to be swapped out. If the savings in building a copper-based network are relatively small in initial capital expenditure — eventually, the economics will reverse and bite back. Since Fibre to the Node will now span the majority of the network, the only logical upgrade path for those areas would now be FTTdp because of all the capital costs sunken into rolling out FTTN. But don’t think for a second that it will be actually cheaper than rolling out fibre all the way to the home in the first place. In summary, if the Strategic Review’s figures are to be trusted, we may have missed yet another opportunity to get a FTTP network, albeit “radically redesigned” in nbn‘s vernacular. Calculations suggest it could have cost less than what the current FTTN rollout plus a G.Fast upgrade in 2020 will cost. Plus, the company has also proved at almost every instant that they had underestimated any non-FTTP costs in the strategic review and helpfully inflated any FTTP costs higher than actuals. What are your thoughts? The analysis, of course, makes assumptions based on the available data. I think it’s a real pity how it seems time after time, taxpayer’s money ends up being wasted based on a false premise in a rushed report.